We still have plenty of time separating us from the 2019 MLB draft, but it’s never too early to put our evaluations on paper. 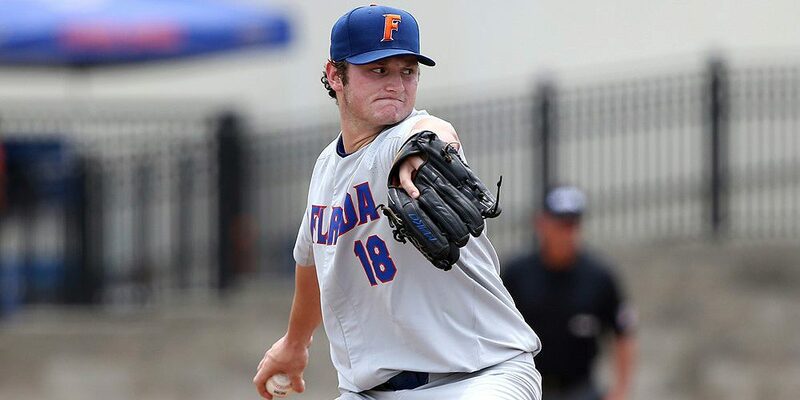 With that, we unveil our very early Top 100 Prospects list for next year’s draft, which is spearheaded by yet another Florida pitcher, this time fireballer and righthander Tyler Dyson. Dyson has shown electric stuff so far this spring, and also is in better physical shape than he was last season. He’s the safe bet to become the next premier UF draft pick, following the footsteps of likely first-round picks Brady Singer and Jackson Kowar later this year. While a pitcher leads the way atop the rankings, the top 15 actually is dominated by position players. Southern Miss two-way star Matt Wallner is the outlier from the group, as he’s a premium athlete and outfielder to go with having a big-time arm — he could profile either way at the next level. That puts the tally at nine position players, beginning with Baylor catcher Shea Langeliers and five pitchers. From a team standpoint, Texas Tech leads the way with four prospects on the list, led by hard-hitting shortstop Josh Jung, while UCLA, Vanderbilt, Rice, North Carolina and East Carolina each have three prospects. Much will change as the season gets underway, and there will be significant variation in opinion this far out from the 2019 draft. This list represents a consensus obtained through thorough research, polling coaches and scouts from all parts of the country, and an influence from the scouting observations of national writers Kendall Rogers and Aaron Fitt, along with college scouting director David Seifert.